A mirroring project titled, “BIM Workflow in Interdisciplinary Academic Environment” was conducted between Universidad Europea, Spain, and INTI International University on a school building project. 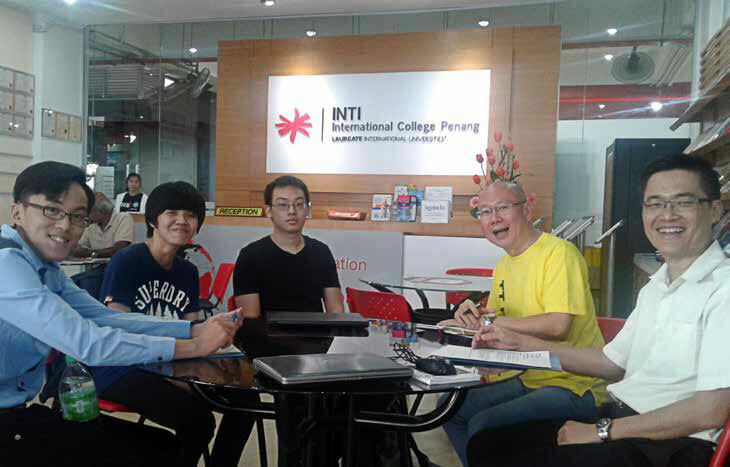 INTI International University students from Civil Engineering, Mechanical Engineering, and Quantity Surveying disciplines (who were consulted by lecturers from the respective disciplines) worked together with the university, to design and generate BIM models. They designed and generated BIM models in terms of architectural, structural and mechanical designs, which further contributed to energy and clash analysis. 24 of INTI International University students were divided into six key teams, and coordinated with the representatives of Universidad Europea in completing the task by 25th of April 2018. The students applied classroom knowledge such as measurement techniques, and BIM application skills, to complete the project. The result was a success, as it improved students’ knowledge and understanding of construction drawings and technologies, and enhanced their visualisation. They gained a deeper understanding of what the project was all about, through the collaboration with the partner university. The students also received an opportunity to interact with the professional team, and learned a lot about the construction procedures. This project has successfully helped students improve their measurement skills in both manual and software approaches. Furthermore, they had the chance to enhance their presentation skills and public speaking techniques. The students were also able to describe the designs, and plan a process of a construction project. Polymer Composite Asia proposed a final year project on the study of vinyl material. The vinyl material is used widely in the corporate signage industry, and it is exposed to various extreme outdoor environment – which often results in discoloration. According to clients, the discoloration on the vinyl material should only occur at least after the 7th year of usage. After that, they would need to carry out a reliability test on the material, to prove that the discoloration should at least start after the 7th year mark, under extreme conditions. A model is needed to be designed and fabricated, by including all the parameters by the replication of the extreme environment. A more detailed study about the material, and the factors that lead to discoloration also needed to be taken seriously. To complete this project, students were expected to use CAD software such as Inventor, and design a model as a testing simulator to replicate the environment. They needed to 3D print the design for the model as a testing simulator, and also conduct experiments to measure the reliability of the material, using various formulas upon a steady state availability system. Students applied classroom knowledge such as solid mechanics, materials, design, engineering drawing, and reliability methodology to execute the project. Students were able to conduct thorough research on the characteristics of vinyl materials, and factors that affect the discoloration of them, used in Shell corporate signage. They were able to understand the relationship between mean time to failure, mean time between failures, and mean time to repair to deliver a probability formula, that would aid the reliability test for the materials. They also managed to conduct an aggressive programme of accelerated life to test for the discoloration of vinyl materials. In addition, the students learned how to determine the mean time to failure of each factor, to identify the most significant factor towards discoloration of the materials. They also designed a model as a testing simulator by replicating the site environment. In the end, they successfully verified the solution data with experimental measurements, in terms of reliability, for a 7 year guarantee period of usage. 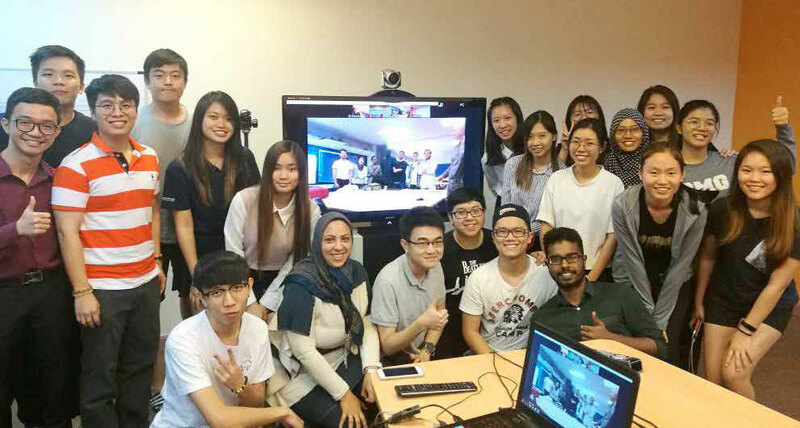 Through this collaboration project, students learned how to deal with real life projects, and understand the constraints given by the client and industry. An opportunity to work alongside engineers in the industry were also in their favour, which provided them a greater perspective, and value to their learning experience. These industrial collaborations introduced students to real world challenges – where experienced supervisors from the industry and faculty are able to provide different perspectives, with a good balance of theoretical foundation, and proper problem solving process. To create a location based contextual information system using mobile , web and Bluetooth 4.0 technology (BLE). For indoor and outdoor. Close proximity (10cm to 100m). In the future, these students will have strong programming skills to work with different hardware and software. Throughout this project the students have learned how projects are being carried out in the industry with tight deadline and how they must delivery to meet requirement.